The University of Missouri (or "Mizzou”), is home to the world's first and now the largest school of journalism in 1908, founded by Walker Williams. According to their web site, “Today some of the best journalists in the world have learned their profession through the Missouri Method, which provides practical hands-on training in real-world news media and a strategic communication agency." Mathison will be speaking to students in Jacqui Banaszynski’s "Journalism & Democracy" class, which is intended as a wrap-up for seniors graduating out of the print & digital (news-ed) sequence. It underscores all they've learned in their time at the J-school about principles, purposes, ethics, etc. Banaszynski holds the Knight Chair in Editing at the Missouri School of Journalism and is on the visiting faculty of The Poynter Institute. She spent 18 years as a beat and enterprise reporter and she has worked as a reporter and editor for more than 30 years, most recently as Associate Managing Editor of The Seattle Times, where she was in charge of special projects and staff development. On Wednesday August 26th from noon to 1pm in the Reynolds Journalism Institute Room 203A, Fellow Bill Densmore invites you to bring your brown bag lunch for this "Lunchstorm" chat with David Mathison, author of the book, "Be The Media." As the result of a grant from the Harnish Foundation, faculty who would like to use Be the Media as a class resource can order sufficient copies for their classes for free. 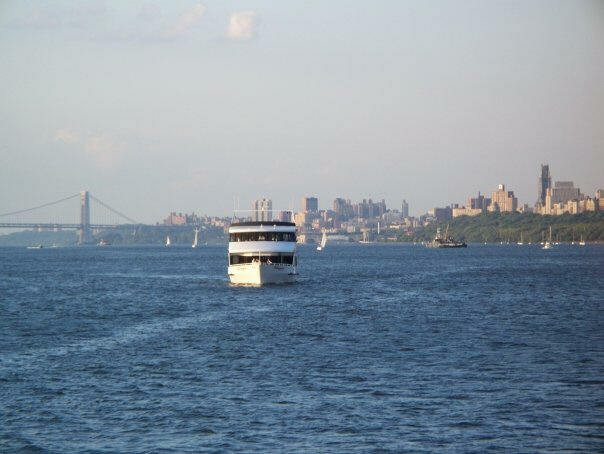 August 27, 2009: NYC/NJ Social Media Cruise "Be The Media Book Signing"
The Cruise will take place from 7:15pm-9:00pm on Thursday August 27, 2009. Tickets are $26 for Adults and $15 for Children ages 12 and under. This business meeting hosted by Eva Abreu will include a book signing with Author David Mathison. Copies of his book Be The Media will be available but you must pre-register to reserve your advanced copy. The Glazer-Kennedy Insider's Circle is for small business owners, entrepreneurs, executives, employees, and sales professionals who want to get more customers, generate more revenues, and share skills and experience. This Jersey City Chapter Meeting will take place on Tuesday, September 15 at the Jersey City Courtyard Marriott at 6:30pm. Publishing is evolving at a remarkable pace. Today's successful authors make the most of new developments in technology and communication - and anticipate changes on the horizon. David Mathison will be speaking alongside April Hamilton, a driving force behind the indie author movement, and Chris Brogan, social media expert. This conference will take place at The New York Marriott Marquis in Times Square, New York. Be sure to register now! The Glazer-Kennedy Insider's Circle is for small business owners, entrepreneurs, executives, employees, and sales professionals who want to get more customers, generate more revenues, and share skills and experience. This Jersey City Chapter Meeting will take place on Tuesday, October 20 at the Jersey City Courtyard Marriott at 6:30pm. David Mathison will be speaking at the Fair Media Council’s “Connection Day,” at the Long Island Hilton on Thursday, Oct 22, 2009. It is the only major conference in the country that brings the public together with the news media for a day of open dialogue, networking and professional development. The event is designed for businesses, nonprofit organizations, students, concerned citizens and those with an interest in news — no matter what your profession, or skill level, there’s something for everyone at FMC’s Connection Day. According to their website, MoneyFest is America's “How To Make Money” Expo, brought to you by The Learning Annex. Featuring keynote speakers Donald Trump and Suze Orman as well over 60 other business and wealth experts from around the country. MoneyFest will teach you hundreds of ways to make money - from starting your own t-shirt line to starting a franchise business to blogging on the Internet. The event will take place on November 7 from 8:00am to 5:00pm at San Francisco's Moscone Center. Over 100 companies that have something (or anything) to do with wealth building will be exhibiting. The Glazer-Kennedy Insider's Circle is for small business owners, entrepreneurs, executives, employees, and sales professionals who want to get more customers, generate more revenues, and share skills and experience. 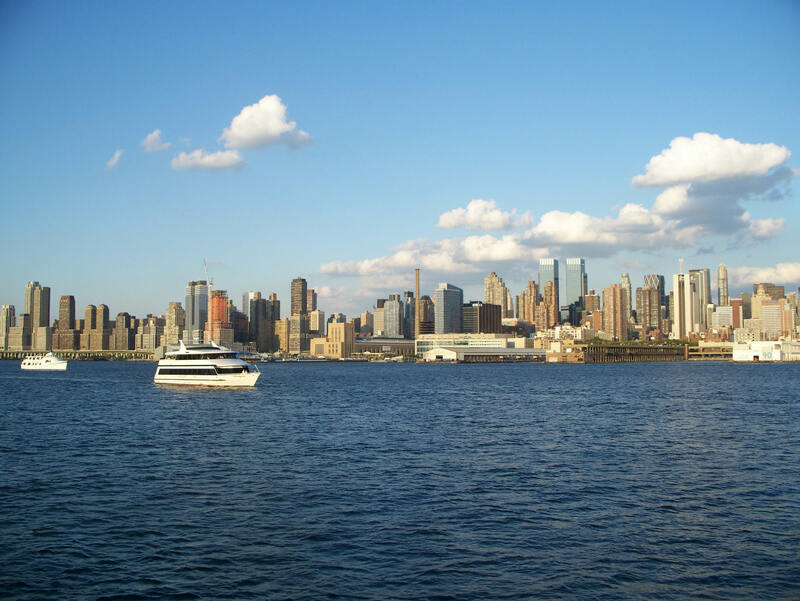 This Jersey City Chapter Meeting will take place on Tuesday, November 17 at the Jersey City Courtyard Marriott at 6:30pm. Founded in 1983, The Independent Book Publishers Association (formerly PMA) is a trade association of more than 4,000 independent publishers that serves book, audio, and video publishers in the US and abroad through cooperative marketing programs, education, and advocacy. 2009 Publishing University: May 26-28 at the Roosevelt Hotel, 45 East 45th Street New York. Register now. Back by popular demand! Last year, attendees who were able to brave the early hours received thousands of dollars of FREE consulting advice. Don’t miss this special opportunity to meet with speakers and industry veterans for brief, one-on-one, private consultations on a wide range of publishing topics. They can review your publishing direction, book jackets, marketing plans, or anything else on which you’d like feedback. Bring your materials and bring your questions. You will have the opportunity to meet with several experts while enjoying coffee and a continental breakfast. If you’re ready to boost your social-media savvy but aren’t sure which tools will work most powerfully, you’ll enjoy this class. 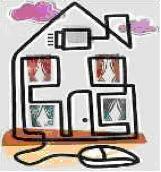 We will focus on blogging and Web 2.0 social-media tips, tools, and traps; Facebook; and LinkedIn. We’ll also review the advantages of MySpace; why AmazonConnect may be your book’s best friend; and new free tools for optimizing your Web site and press releases. We’ll devote time to what social media can and cannot do for you and take a hard look at the top ten tips for reaching out to bloggers. Microblogging (e.g., Twitter) is rapidly becoming the next cool tool, and you’ll want to find out more. Don’t miss this advanced opportunity to learn how to use and apply the strategies of Web 2.0 communications in your business. You’ve heard about book authors setting up Facebook pages. You’ve watched how quickly blogs can spread a powerful viral message. This hands-on class will give you a step-by-step practical guide to understanding and using various online social-networking tools, channels, and sites for book-publicity purposes. We’ll show you how to avoid common pitfalls. Hear about building blogs, microblogs (Twitter), podcasts, media sharing (Flickr, YouTube), social reference (Wikipedia), social news (digg), social bookmarking (del.icio.us), and even virtual worlds (SecondLife). We’ll also address the new Social Media press release for building online buzz for a book launch. Attendees will leave with a small e-book titled “Get Your Social Media On”—filled with takeaways, action items, two case studies, and a how-to template. Last year, BEA had over 37,000 registered attendees and approximately 1,000 media representatives, including all major national news outlets. Booth 4447: We are in booth 4447. You can purchase the book online or on-site. New Title Showcase: BE THE MEDIA galleys will also be available for review in the New Title showcase. This 3:30-4:30 pm Saturday autograph time slot is celebrity-packed. Free copies will be autographed on a first come, first served basis - so be sure to get there early. One of the fastest ways to sell more books, information products, and services based on your expertise is to do telephone seminars (aka “teleseminars”). 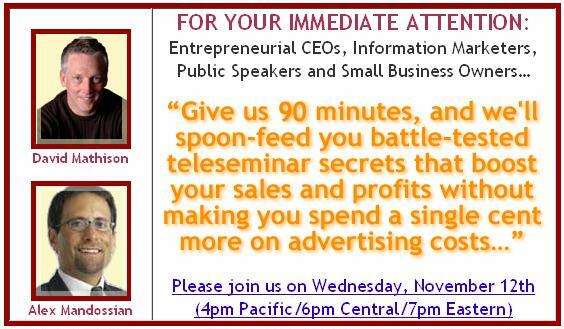 Join BE THE MEDIA authors ALEX MANDOSSIAN and DAVID MATHISON for a free 90-minute telephone seminar on Wednesday November 12, 2008 (4pm Pacific, 6pm Central, 7pm Eastern). We will arm you with battle-tested teleseminar secrets that boost your sales and profits - without making you spend a single cent more on advertising costs. If you are an entrepreneur, author, public speaker, or small business owner, YOU MUST BE ON THIS CALL! ● World-renowned speakers and trainers such as Tom Antion and Les Brown. To read the rave reviews and register for this free call, go here now: http://www.bethemediateleseminar.com/preview. BE THE MEDIA features more than over fifty media experts, educators, and activists (such as David Mathison and Alex Mandossian) who teach you the latest and greatest ways to market and sell your books, music, films, information products and services. The book includes more than 500 pages of material to help you control your rights, have a direct relationship with your audience, and earn more royalties. 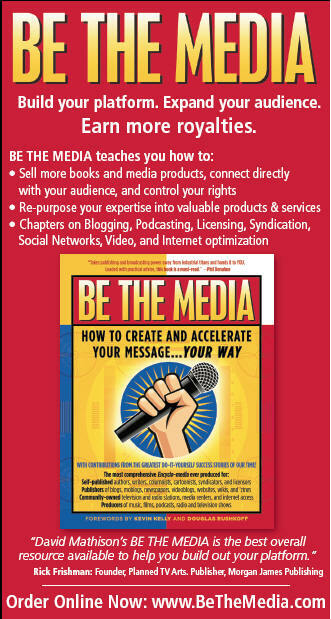 Be sure to pick up your copy of BE THE MEDIA by clicking Add to Cart below. According to the website "Lullalee has entertained, educated, and promoted smiles to over 8,500 children world-wide, including hospital patients and their families, through innovative learning programs and book grants. We provide magical literacy events and free books to children whose road to literacy is challenged financially and/or physically. We are grassroots, we are pure hearts, and we are motivating children to embrace literacy." Lullalee will be hosting its first annual Art for Literacy Benefit Concert and Silent Auction. "More than 500 of California’s most influential educational and cultural leaders as well as fine art connoisseurs will gather to support and celebrate the strides we are making to promote literacy for children." It will take place in the Fairmont Hotel's Grand Ballroom in San Francisco, CA. Robert Strong The Comedy Magician will be the master of ceremonies and the event also will be featuring the Sensational Louis Prima Jr. BE THE MEDIA is a sponsor of this important event. You will have the opportunity to meet 15 renowned Bay Area Fine Artists and bid on their work. The event starts at 7:00 pm to 11:00 pm. Champagne and Hors D'Oeuvres Reception. Click here to find more information and to purchase your tickets. Please join us in showing your commitment to literacy for all children. Be The Media's David Mathison will deliver the keynote address at the Alliance for Community Media (West) conference. “We’re hoping to inspire folks in our movement to more fully embrace the efficiencies, the community media tools, and the participatory aspects of using technology to generate future (and present) self-sufficiency, increased community engagement, and save time and money." "We will be highlighting the new media technologies that can be incorporated into the workflow of Public Access Television and Community Technology Centers. Denver Open Media is leading the efforts that allow access centers to operate on a streamlined, user-driven model and is integrating the efforts of other National ACM members, like Manhattan Neighborhood Network (MNN) and Cambridge Community Television (CCTV)." Check out their technology-infused vision at www.denveropenmedia.org. * Click here for the full schedule. * Go here to register for the conference. * Go here for more about the Alliance for Community Media – Western Region. If you are interested in acquiring foreign rights to publish BE THE MEDIA abroad, come visit us at the Frankfurt Book Fair. We are represented by Columbine Communications and Publications, located in Hall 8.0 Stand N-933. Their dance card is pretty full, so for more information, be sure to contact Columbine President Bob Erdmann to set up an appointment in Frankfurt ASAP. His office can also be reached on (209) 586-1566. That's Bob to the right, hard at work, securing foreign rights deals for American authors. The Frankfurt Book Fair was first held in 1480, growing into a major financial and cultural event that was only interrupted by the First and Second World Wars. The 2007 event had an astounding 283,000 visitors. By contrast, Book Expo America usually gets around 30,000-40,000 visitors. Almost 8,000 exhibitors from 108 countries meet at Frankfurt to buy and sell foreign translation and distribution rights. It is THE place for writers to have their works exhibited on the world stage. Large numbers of journalists, educators, librarians, government administrators, media celebrities, and news syndicates attend the fair. David Mathison will cover the third and final US Presidential debate at Hofstra University for the Huffington Post’s Off The Bus. The debate will focus on economic policy and domestic issues. The debate will be moderated by Bob Schieffer, CBS News Chief Washington correspondent and host of Face The Nation. The debate will take place at Hofstra’s David S Mack Sports and Exhibition Complex. The adjacent Physical Fitness Center will serve as the media center for thousands of national and international journalists. Leading up to the debate, Hofstra is hosting Educate 08, a series of lectures, conferences, artistic performances, exhibitions, town hall meetings, and interactive forums focused on the issues, history, and politics of presidential elections. The series includes presentations by former US Treasury Secretaries Paul O’Neill and Robert Rubin; George Stephanopoulis; Gloria Steinem; former New York Governor Mario Cuomo; and singer Jason Mraz. October 13-14, 2008: David Mathison covering the CNN-Time Warner's "Politics 2008: The Media Conference for the Election of the President"
The TimeWarner companies are pleased to host a two-day conference, October 13-14 at the Time Warner Center in New York City, "Politics 2008 - The Media Conference on the Election of the President." For this two-day event, Time Warner is inviting leading media organizations and analysts, political insiders and pundits for a series of keynotes, conversations and panel events on topics ranging from the media’s roles and responsibilities in covering the campaign and election to how the digital revolution has changed the race for the White House. David Mathison will be covering the Time Warner Politics 2008 Summit for the Huffington Post’s Off The Bus. Mike McCurry, principal, Public Strategies Washington, Inc.
Click here to to register for CNN-Time Warner's "Politics 2008 The Media Conference for the Election of the President"
BE THE MEDIA is featured in the November/December issue of Writers Digest, the Brave New World of Publishing. An excerpt from BE THE MEDIA’s Podcast chapter was included. We took out an advertisement in the magazine this month (see image to the right), our first in what we hope to be a long and fruitful relationship. The Nov/Dec issue includes an interview with best-selling thriller novelist Brad Thor, and features Wired editor and Long Tail author Chris Anderson. Writer’s Digest has chronicled the culture of the modern writer since 1920. Their magazine and website include relevant first-person essays, interviews with bestselling authors and profiles with emerging talent. 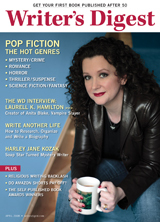 Writers Digest has 110,000 magazine subscribers and their website has 100,000 average unique visitors/month, representing the largest community of published and aspiring fiction, poetry, screenplay and non-fiction writers. "This symposium brings together dozens of leaders, innovators and experts in independent media for intimate discussions exploring the obstacles and potentials of independent media. It focuses on the latest means to amplify the success of independent outlets, whether big or small, local or international -- in terms of outreach, revenue streams, technology, new collaborations." 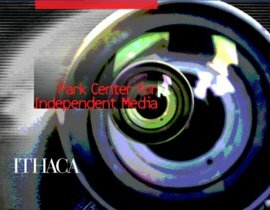 Josh Marshall will be keynoting the symposium of the Park Center for Independent Media on Tuesday, September 16, at 7:30pm. On Saturday, June 28 , the New England News Forum will present a unique, one-day workshop entitled "Sharing the News: Fresh Approaches to Reaching Students and Training Citizens." The colloquium is aimed at updating teachers, advisors, professors, editors, bloggers, and citizen journalists on cutting edge methods of promulgating the news. It will take place from 9AM to 4PM in the Alumni Library in the University of Massachusetts at Lowell. A detailed program and information on registration for the event can be found here. An article from the Daily News Tribune summarizing the workshop can be found here. Register today and we will see you on Saturday! NCMR 2008 will be in Minneapolis on June 6-8, 2008. In 2007, BE THE MEDIA publisher David Mathison spoke at this conference on "Organizing for Cable Access in a Changing Regulatory Environment." This year, BE THE MEDIA will exhibit in Booth 125. Books are available from onsite book vendor Birch Bark Books. A percentage of the proceeds supports the National Conference on Media Reform. ● Amy Goodman and Juan Gonzalez, co-hosts of Democracy Now! ● Lawrence Lessig, Stanford University; founder, Creative Commons. REGISTER NOW! Free galleys of BE THE MEDIA will be given to all attendees of the Academic Research for Media Reform symposium for scholars. The symposium will be held on June 5 at the Hyatt Regency, 1300 Nicollet Mall, Minneapolis, MN. Through a double-blind peer review process under the auspices of the Institute for Information Policy at Penn State University, the Program Committee generated eight sessions of papers submitted by leading academics from the nation's top schools. ● Roundtable discussion with members of the "Future of American Telecommunications." This group is designing a media and telecommunications policy framework for the 2009 administration. The full program and schedule is now online. Join us in this unique opportunity to engage in a dialogue between academics and media reform advocates - and get a free galley of BE THE MEDIA! Booth 5601: We are in booth 5601, next to the entrance of the West Hall in the Independent Publishers section of the Los Angeles Convention Center. Galleys of the book are available for review. You can purchase the book online or on-site. New Title Showcase: BE THE MEDIA galleys will also be available for review in the New Title showcase, which is located in the lobby of the West Hall. Free autographed galleys: David Mathison will autograph a limited number of free BE THE MEDIA galleys on Saturday, May 31 from 2:30-3:00pm at Table 26 (in the Autograph Area at the rear of the West Hall). This 2-3pm Saturday autograph time slot is celebrity-packed. Free galleys will be autographed on a first come, first served basis - so be sure to get there early. Founded in 1983, PMA (the Independent Book Publisher's Association) is a trade association of more than 4,000 independent publishers that serves book, audio, and video publishers in the US and abroad through cooperative marketing programs, education, and advocacy. 2008 Publishing University: May 27-29 at the Wilshire Grand Hotel, 930 Wilshire Blvd, Los Angeles. Register now. Ask The Experts is a special opportunity for attendees to meet with speakers and industry veterans for brief, one-on-one, private consulting sessions on a wide range of publishing topics, or anything on which you’d like feedback. Sessions are designed to provide free help to PMA members. Bring your materials and questions. Mathison will provide attendees with free, personalized consultations in "Internet, Blogs, and Social Media." A Taste of the Web/Advanced Web 2.0 Tools: DIGG, del.icio.us, wikis - Oh My! "Learn which Web 2.0 communication strategies can make the biggest impact on the marketing of your book. Discover tips and techniques about many advanced Web 2.0 tools, such as DIGG, del.icio.us, wikis, podcasts, videoblogs and social media. Empower your usage of 2.0 tools and learn how you can drive critical awareness, get media coverage and enable long-term viral power on the Internet to increase your book’s success. Discover the keys to integrating online PR Web 2.0 efforts and blogging with traditional marketing and advertising. Are you ready to shine virtually?" Mathison will provide attendees with free, personalized consultations on "Internet, Blogs, and Social Media." In 2007, I volunteered to help with the Mountain Play's performance of the musical HAIR by valet parking bicycles. I loved this gig! Being car-free, I use my bike to travel all over Marin - even up the 2,571' Mount Tamalpais. I advised bikers on the best trails back down to San Fran, Mill Valley, Fairfax, and Stinson Beach. To cycle to the Play, here are some tips and a trail map (look for the MOUNTAIN THEATER). Please stay off Panoramic Highway. Valet parking sponsored by the Marin County Bicycle coalition. Since this is Bike to Work Week, why not head to the Play this weekend on two wheels? All photos were taken with my Nikon Coolpix S1, which provides great quality for a camera the size of a credit card. It is critical to balance quality with size, weight, portability, and durability when you travel by bike! I took a few short videos with the same camera. Unfortunately I was not tapped into the sound board, nor did I have a tripod, so the audio and video quality is not the greatest. I enjoyed the Mountain Play experience so much that I subsequently joined their Board of Directors. My goal is to apply the lessons from BE THE MEDIA to help this non-profit community theater group expand their presence beyond the performance, grow their audience, and increase their revenue streams with new products. One of the Board's most important goals is "to nurture an appreciation of Mount Tamalpais." This year, under the leadership of Executive Director Sara Pearson, we continue to "go green" by encouraging bikers and hikers, recycling, using biodiesel fuel for buses to minimize cars on the mountain, providing alternatives to plastic water bottles, and teaching attendees the importance of protecting our water supplies. Visit the EMERALD TABLE for more information on how you can create a more sustainable Marin County, and a more sustainable world. Many attendees do their part by taking the bus up to the mountain theater and hiking down the six mile, 1,900 foot grade after the show. 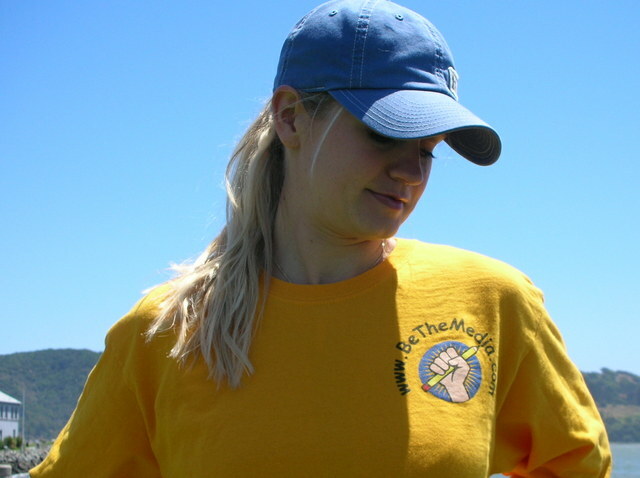 According to Executive Director Sara Pearson, "We provide detailed hiking maps, signage, and volunteers who lead and "sweep" the end of the hike. This extremely popular program draws 800 people per show, and encourages an appreciation of Marin's natural beauty encountered during the six mile downhill trek." Be sure to bring lots of water and plan on a 2-3 hour hike down. 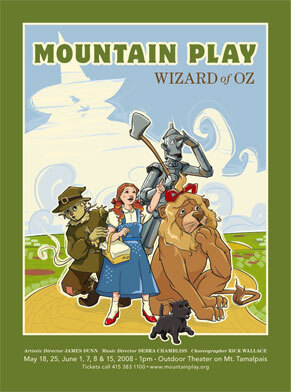 This year's play is the Wizard of Oz, a great show for the whole family. Performances are May 18, 25, June 1, 7, 8, and 15. Purchase tickets here. SEE YOU ON THE MOUNTAIN! Journalism's ideals met Silicon Valley's tools in a three-day, conceptual mashup for journalists, technologists, and entrepreneurs. The organizing question was "What can we create at the intersection of journalism and technology to support the well-being of democracy?" BE THE MEDIA co-sponsored the conference, providing stipends to a handful of journalism and communications students in a "BE THE MEDIA Fellows" program. The NewsTools unconference was curated by Media Giraffe's Bill Densmore, the San Jose Mercury News' Kara Andrade, and David Cohn, and facilitated by Stephen Silha, Peggy Hohlman, and Kaliya Hamlin. Participants created their own agenda, inventing, sharing, and pursuing ideas, projects, systems, or solutions for sustaining journalism that matters in a connected world. JOURNALISM THAT MATTERS is a think tank for the future of journalism that hosts conversations with a purpose. According to their site, "The point is to recommit journalism to what is fundamental for connecting news with its audience so that it serves and sustains us." Come, listen, learn about and meet our next California State Senator. Democratic candidates for California's 3rd Senatorial District will meet for a public forum in Marin County, CA. The district includes Marin and portions of Sonoma and San Francisco counties. Participants include the incumbent State Senator Carole Migden, and Democratic candidates San Francisco Assemblyman Mark Leno and Former San Francisco Assemblyman Joe Nation. The Candidate's Forum will be moderated by David Mathison, publisher of Be The Media. Click on the link to the left to view CBS Channel 5's coverage of the previous event on September 27, 2007. This event is hosted by the 6th Assembly District Democrats Club and the College of Marin's Students for Social Responsibility. Co-sponsors include the California Clean Money Campaign; Committee to Stop the Spray, Marin; CD6 Students for Barack Obama; Democratic Central Committee of Marin; Democracy for America, Marin; Green Coalition; Health Care for All; National Women's Progressive Caucus; Novato Democratic Club; Progressive Democrats of Marin; Progressive Democrats Sonoma County; Progressive Perspectives; Sonoma Valley Democratic Club. The public is encouraged to attend and the event is free. For more information, contact Evelyn Woo, Chair, 6th AD Democrats. Announcing a benefit for Media Alliance, co-presented by Media Alliance and Media Action Marin. 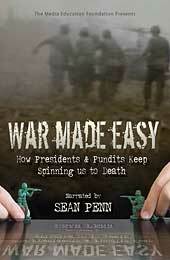 Watch Norman Solomon's film "War Made Easy: How Presidents and Pundits Keep Spinning Us To Death." The film is narrated by Academy Award-winner Sean Penn. Following the film, BE THE MEDIA publisher David Mathison will moderate a question and answer session with author and media critic Norman Solomon. See the latest ABC News article on the film and Sean Penn here. More about the Book here. About the Movie. View more video clips. Saturday April 5, 2008 at 4:00pm, doors open at 3:30pm. Tickets are $10 to $15, sliding scale. The Internet can be a powerful tool for communication, education, and creativity. But many people cannot take advantage of this resource because of financial barriers, disabilities, low-literacy, and limited English fluency. Help us develop practical solutions to end this digital divide by making the Internet, hardware, software, and services affordable and accessible for everyone. The Oakland Digital Inclusion Summit will be held on Friday, February 15, 2008 from 10am to 6pm at Laney College Theater, 900 Fallon Street, Oakland, CA. In the morning, hip-hop historian and community activist Davey D will give a keynote and moderate a panel called "Bridging the Gap: How Communities Attack the Digital Divide." In the afternoon, Be The Media Publisher David Mathison will moderate a session called "Creating Platforms for Success." This panel will be videotaped and aired here. It is the second part of our two-part video series on COMMUNITY INTERNET. Part One of the video series can be seen here. The event is co-sponsored by Media-Alliance and Media Action Marin, among others. Now is the time to GET CONNECTED! The purpose of the Independent Media Strategy Summit is to think through - in a participatory, concrete way - how progressives can build a national, independent news source. The Summit will be a collaborative gathering of experienced media veterans, scholars, activists & whistleblowers to assess and deploy our most powerful tools and messages. Bring your best ideas, an open mind, and an urgent desire for change. We hope to discover in this moment of Constitutional crisis, ecological peril and widening war, if a roomful of top investigative journalists, whistleblowers and indy-media all-stars can transform the way Americans perceive and support their world. Participants include: Larisa Alexandrovna, Ed Asner, David Altheide, John Perry Barlow, Dennis Bernstein, Khalil Bendib, Kristina Borjesson, Carol Brouillet, David Cobb, Peter B Collins, Gabriel Day, Elizabeth de la Vega, Bill Densmore, Katherine Dodds, Frank Dorrel, Ronnie Dugger, Bonnie Faulkner, Mike Ferner, Robert Fitrakis, Brad Friedman, Richard Greene, David Ray Griffin, Kyle Hence, Mickey Huff, Naomi Klein, David Kubiak, Kalle Lasn, David Lindorff, Eamon Martin, Janice Matthews, David Mathison, Jason McKain, Ray McGovern, Cynthia McKinney, Kelly Omeara, Peter Phillips, Marc Pilisuk, Coleen Rowley, Bryan Sacks, Danny Schechter, David Schimke, John Scott, Cindy Sheehan, Barbara Trent, Sarah Ruth van Gelder, Tracy Van Slyke, Aldo Vidali. For more information or to register, visit TruthEmergency! December 14, 2007: David Mathison hosts TV Show: "Community Internet: Internet Access as a Public Utility"
Please join us this Friday, December 14 as we tape Part one of a two-part television program titled "Community Internet For All: Internet Access as a Public Utility." The program is presented by Be The Media and Media Action Marin, and is produced by Rick Tucker, Executive Director of Novato Public Access. Participants and audience members should arrive by 7:30pm SHARP at Novato Public Access TV (directions here). The second part of the show will explore various Community Internet solutions in use around the US. That show will be taped during Media-Alliance's Digital Inclusion Summit at Laney College Theater in Oakland on February 15, 2008. To brush up on Community Internet and Digital Inclusion, check out Media-Alliance's free Digital Inclusion Advocacy Toolkit. November 12, 2007: "Media Renaissance- From Selling War to Serving Life"
Carol Brouillet of Questioning War - Organizing Resistance interviews BE THE MEDIA publisher David Mathison. 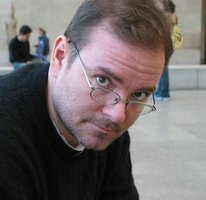 In this interview, Mathison compares today's digital media renaissance with previous pivotal periods in human history such as the Axial Age (800-200 BC), the Carolingian Renaissance (800-900 AD), and the European Renaissance (1400-1700 AD). The interview is available for replay here. "Open Space is a social organizing tool that catalyzes transformative education and supports a community finding itself, helping the energy and wisdom of a group emerge." "Participants gather around a topic and create breakout sessions about whatever they personally love, or feel most urgently about." It was also an Orangeband event, which explores the power of meaningful conversations. They encourage fostering a shift from "I" to "We" in our attitudes and actions, by taking a greater role in our democracy, and recognizing personal responsibility for these issues. We reflected on and discussed the biggest challenges facing humanity, how to restore balance to our everyday lives, how personal, cultural, and environmental addictions add to imbalance, and what it takes to live a balanced and meaningful life. Thanks to all the professors, students, and fellow travelers who participated in this powerful event - I left with much more than I brought! October 16, 2007: Free Teleseminar: "How to Build Your Platform and Grow Your Audience"
To request the replay, REPLY HERE. Alex Mandossian will be host, with BE THE MEDIA publisher David Mathison as the guest. Since 1991, Alex has hosted teleseminars with many of the world’s top thought leaders such as Mark Victor Hansen, Jack Canfield, Stephen Covey, Vic Conant, Brian Tracy, David Bach, Harv Eker, Joe Vitale, and many others. Alex has generated over $233 million in sales and profits for his clients and partners, and specializes in list building techniques. The call is participatory - you can ask us questions like "What is the most important thing I should know about growing my audience?" Come, listen, learn about and meet our next California State Senator. Democratic candidates for California's 3rd Senatorial District will meet for a public forum in Marin County, CA. The district includes Marin and portions of Sonoma and San Francisco counties. Participants include the incumbent, CA State Senator Carole Migden, and the announced Democratic candidates Assemblyman Mark Leno and San Francisco Police Commissioner Joe Alioto Veronese. The forum will be on Thursday, September 27 at 7:00pm at the College of Marin's Olney Hall in Kentfield. BE THE MEDIA publisher David Mathison will host a Q&A after a showing of the Bill Moyers film "Buying the War" on Tuesday July 3 at 7pm. The Meetup will take place at the Corte Madera Town Center Community Room (2nd Floor). Transcript here: "The American number of troops killed in Iraq now exceeds the number of victims on 9/11. We have been fighting there longer than it took us to defeat the Nazis in World War II. The costs of the war are reckoned at one trillion dollars and counting. The number of Iraqis killed -- over thirty-five thousand last year alone-- is hard to pin down. The country is in chaos..."
We will be exhibiting upstairs in the Small Press section, booth #1801. Our goal is to secure bulk sales to get volume discounts for our first print run. If you know of anyone interested in buying bulk, send them to booth #1801, or contact us here. These are the GOLD tees we will be wearing in our booth at BEA, we will be hard to miss! May 31: BE THE MEDIA will be at Mark Victor Hansen's MEGA Book NY event at the Jacob Javits Center, NY, NY. Mark is the founder and co-creator (along with Jack Canfield) of the billion-dollar "Chicken Soup for the Soul" series. The New York Times #1 best-selling book series has more than 100 titles in print and over 100 million copies sold in 41 languages. As usual, Mark has gathered some of the best book marketers on the planet for a one-day marketing event right before Book Expo America (BEA). "If you are an author, publisher, speaker, or publicist who wants to write, publish, and sell more books ... this event was created with you and your needs in mind." I attended Mark's 3-day seminar in Los Angeles two years back, and I highly recommend it. Announcing a Marin Peace and Justice Coalition (MPJC) special Independent Media event, co-sponsored by Students for Social Responsibility! Come watch a sneak preview of Norman Solomon's new film "War Made Easy: How Presidents and Pundits Keep Spinning Us To Death"
The film is narrated by Academy Award-winner Sean Penn. Following the film, local Marin publisher David Mathison ('Be The Media') will moderate a session with the filmmaker, author and media critic Norman Solomon. He will speak on "Iraq and Beyond: Endless War or Informed Democracy?" How do presidents and pundits use spin to win public support for war? For directions or more information, click on the image to the left. Tickets only $8 at the door, proceeds benefit the Independent Media Guide to Marin. Wheelchair accessible. Share a pot luck dinner with friends and enjoy a presentation by David Mathison for dessert - yum! 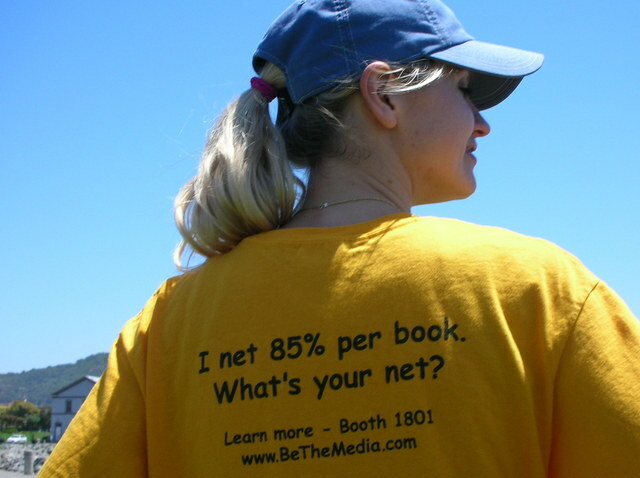 BE THE MEDIA is an independent media encyclopedia compiled by local Marin publisher David Mathison. Come hear David talk about the exciting dynamics of new independent media methods, and how you can get your message out by leveraging grassroots media. 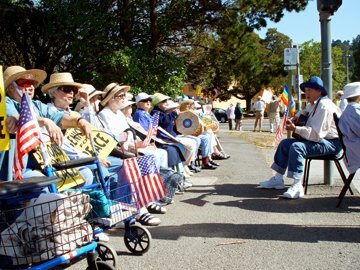 The first public presentation on my upcoming book, BE THE MEDIA, will be given to the Mill Valley Seniors for Peace. Thanks to Vera Falk for organizing this, and Chairman Bill Usher. The presentation will take place at 2pm at the Redwoods Retirement Community, 40 Camino Alto, Mill Valley, CA. The group is committed to world peace, social justice and genuine democracy in their lifetime. Their average age is 86. They hold street demonstrations against the war every Friday, and silent candlelight vigils every Sunday night. They hope that peace, love, and justice will prevail on earth. January 12-14, 2007: The National Conference on Media Reform: FreePress.net is hosting their 3rd conference on media reform in Memphis TN. Speakers this year include Bill Moyers, Ben Bagdikian, Phil Donahue, Amy Goodman, Jane Fonda, Danny Glover, Robert Greenwald, and host Robert McChesney. I have the pleasure of presenting on behalf of Media Action Marin with Sue Buske from the Buske Group on Sunday Jan 14 from 9-10:30am in Lobby room L12. Our topic is "Organizing for Cable Access in a Changing Regulatory Environment"
Negotiations with your cable company are a way to win a chance for your community to get its own TV channel, video equipment and studios for free public use, free Internet for community members, and more. With big telephone and cable companies re-writing video franchise regulations to suit their interests, advocates need to understand the franchise process. This workshop will provide a brief overview of cable franchise agreements and then illustrate what you can do to help your city get more from your cable company. Participants will learn step-by-step how to how to create enough public pressure for success in getting or maintaining community media. October 6-8, 2006: ACME Summit: "Facing the Media Crisis: Media Education for Reform, Justice and Democracy" Featuring 50 workshops and 20 plenary keynotes, including: Democracy Now! host Amy Goodman, author Bill McKibben, author Diane Wilson, U.S. Senate Candidate Bernard Sanders and actor David Strathairn. September 17, 2006 (1pm): Celebrate Independent Media with Amy Goodman of Democracy Now! Angelico Hall, Dominican University. Amy and her brother, investigative journalist and author David Goodman, were on hand to discuss their new book, "Static: Government Liars, Media Cheerleaders, and the People Who Fight Back." I spoke for a few minutes at this event on behalf of Media Action Marin, and to introduce and thank Amy Goodman for helping Marin get an independent, non-profit Community Media Center to run Marin's Public, Education, and Government channels. You can see a video of me introducing Amy Goodman here. I used the opportunity to gather signatures to attach to a Federal Communications Commission (FCC) comment on media ownership regulations. I also introduced Kim Spencer, President of LinkTV. 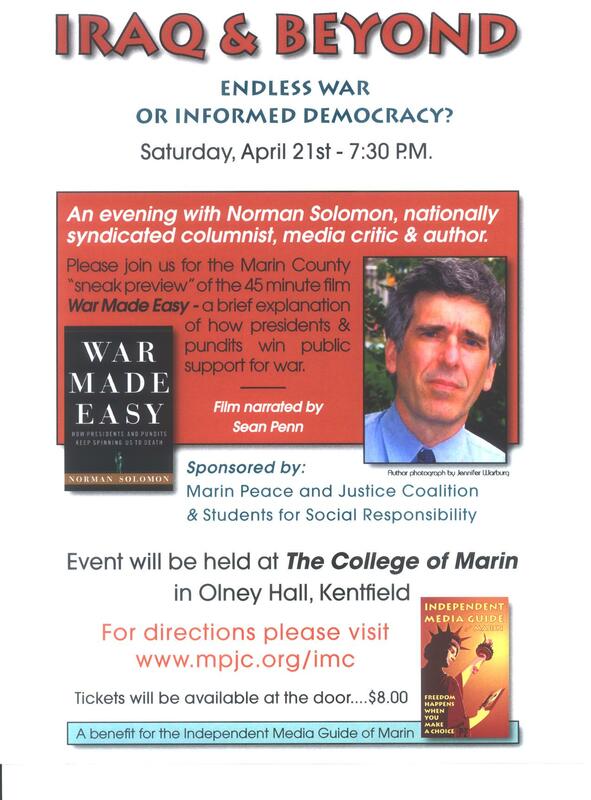 The event was produced by the Marin Peace and Justice Coalition as a benefit for the Independent Media Guide of Marin. The guide lists independent sources of information in print, on TV, radio and the Internet. MPJC is distributing 22,000 copies of the Guide throughout Marin. The conference will provide a forum to discuss visionary and practical solutions to the problems of our media. It will bring together activists, media creators, academics, and policy makers for three days of learning, sharing, networking and momentum building. November 12, 2004: Next Generation Summit: I facilitated a workshop with artist, cartoonist, musician and author Keith Knight called "Taking Care of Business: Professional Development." More than 75 artists, activists and funders discussed issues of artistic development, economic sufficiency and movement building at the Next Generation Summit. November 12-14, 2004: Hecho en Califas Festival. 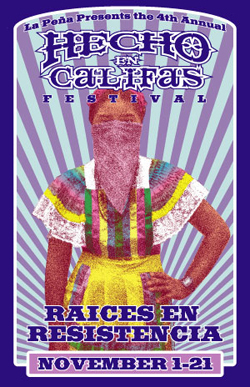 Over the past five years, the Hecho en Califas Festival has offered a high visibility opportunity to bring together young Latino music, spoken word, theater and visual artists who address social issues such as bilingualism, cultural identity and the criminalization of youth through their work. November 2-4, 2004: Licensing International Networking Conference: The Link conference is tailored to licensing executives - a meeting place for licensors, licensees, retailers, agents, marketers, and the media. Ms. Joyceann Cooney, Editor-In-Chief of License! magazine, arranged for me to interview leading industry executives. Co-sponsored by ACME, Media-Alliance and the University of San Francisco. The conference covers media literacy education, independent media, and media reform. I served as chairman of the Publicity Committee. Supernova explores the decentralization of communications, software, and media in a unique, interactive format. I videotaped part of the first day of the conference for the conference convener, Kevin Werbach. June 14, 2004: Central Coast of California Sustainability Network: Trends in Independent Media - Media Within Your Reach I presented on trends in independent media at the Central Coast Sustainability Network meeting. C3SN is the Central Coast of California's only professional network dedicated to restorative and responsible commerce, sustainable business development, and 'green' capitalism, providing networking and co-learning opportunities. Their formal purpose is to facilitate and accelerate the development of businesses and industries with sustainability at their core. Planetwork illuminates the critical role that the conscious use of information technologies and the Internet can - and indeed must - play in creating a truly democratic, ecologically sane and socially just future. The Planetwork conference explores how the creative application of digital tools – visualization technologies, software, and the Internet, among others – can open new possibilities for positive global change. I videotaped conference sessions for the organizers, and interviewed the keynote speakers, Ben Cohen of TruMajority and Joan Blades of MoveOn.org. July 30, 2001: Book Tech West, San Francisco, CA. Book Tech hosts the leading electronic and book publishing product and service suppliers. Good for members of the publishing team, especially executives, managers, directors and supervisors of production, design, content, internet and manufacturing. July 10-11, 2001: Internet Content Conference, Los Angeles, CA. This energetic panel discussed different models for content acquisition and distribution, and how to leverage content syndication or aggregation to enhance brand and extend reach. Shows how these can become viable alternative revenue streams. Panelist: "Aggregation, Syndication...and the latest trends"
June 20-22, 2001: Streaming Media West 2001, Long Beach, CA. "Streaming media news and information is increasingly becoming an important piece of daily content for net businesses and consumers." Panelists discussed ways to obtain news and information on-demand. 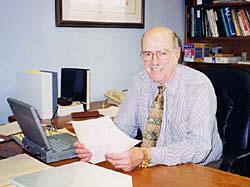 April 8-13, 2001: Seybold Publishing Conference, Boston, MA. "The Ultimate Cross-Media Publishing Event", Seybold Seminars delivers the most up-to-date information and content related to content creation, management and delivery. Panelist: "New Content Delivery Methods" <-- Link to view transcript. Susan Pickering, Moderator, Executive Director, International Webcasting Association, Washington, D.C.
March 15, 2001: Internet World Conference, Los Angeles, CA. Internet World (Penton Media NYSE: PME) is a leading, global business-to-business media company that produces market-focused magazines, web sites, trade shows and conferences. Internet World Conferences are great for networking and sales. March 8, 2001: Digital Hollywood Conference, San Jose, CA. "Syndicating content on the Internet is not a simple proposition. Keeping control of your data is the most important element. Therefore, making it available to others in a secure, traceable, scaleable and ultimately profitable environment is the goal. Whether your organization is syndicating audio, video, graphics or text in live feeds or from archives, finding the right partners and resources is a priority." Panelist: "Content Syndication Technology to Enable and Enhance the Business Model"
"Web Metrics: Monitoring, Measuring and Multiplying Your Web Strategy". Proven methods to increase your customers, your profits, your market share. Evaluate demographic and research data to improve services and increase profits. In a distributed world of intersecting content, property rights and royalties, new tools are required to manage and measure performance in the decentralized web ecosystem. We are still battling with the legacy of vertical, centralized, site-specific businesses plans, measurement tools, "stove-pipe" applications and content management systems originally designed for management of a single site, not networks of sites in a distributed environment. September 29. 2000: Monetizing Digital Content, by SIIA (Software & Information Industry Association), Washington, DC. "The Software & Information Industry Association is the only trade association with a global reach that provides a credible, unifying voice for all businesses that provide the software and information that underpin the digital economy." Speaker, "Syndication: Building Your Brand in an Online Environment" by David Mathison, CEO, Kinecta. The presentation discussed attracting qualified users to your site and maintaining ongoing relationships with them through effective branding. For the last 16 years, Technologic Partners has organized the leading venues for industry leaders, investors and entrepreneurs to meet on market strategy and analysis and build personal networks with key players. Only the most promising private companies are selected to present their business plans. August 29, 2000: Seybold Publishing Conference, San Francisco, CA. The Ultimate Cross-Media Publishing Event", Seybold Seminars delivers the most up-to-date information and content related to content creation, management and delivery. Panel: "Participating in Content Distribution Networks" <-- Link to view transcript. Gayle Harrison, CEO, Strategy Associates Inc.
May 22-25, 2000: Dynamic Content 2000 Conference, Cap Ventures, San Francisco, CA. "The best interactive and collaborative sites leverage dynamic content pulled from databases, documents, email, content repositories, legacy systems, and external information sources"
Mathison presented a range of strategies and the technologies that support them. Presented an overview of syndicators and the types of content being distributed. Touched on the evolving role of aggregators.